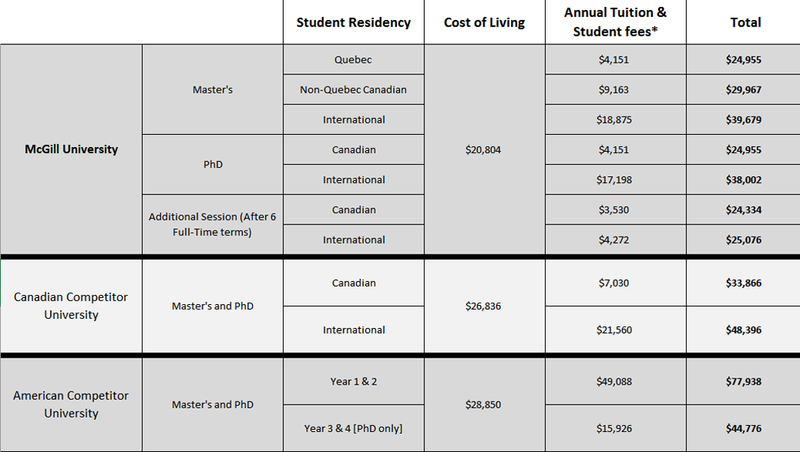 As shown in the table below, the cost of pursuing graduate studies at McGill compares favourably with our competitors. * Listed are estimates of annual tuition and student fees for the most common full-time graduate programs as of August 2017. For up-to-date McGill University tuition and fee rates, visit the Student Accounts website. All figures in Canadian dollars. Exchange rate retrieved from XE Currency Converter, Sept. 20, 2017.